Hello DRU fans! Welcome back to our fabulous Inspirational Blog! This is America, and I'm back to share a special Cat Sympathy Card. 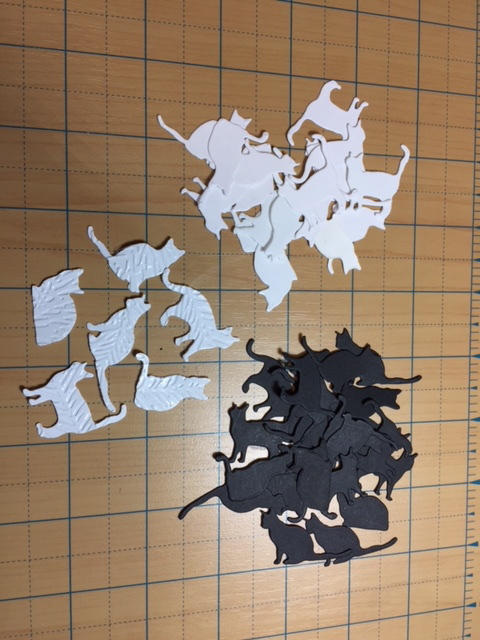 Very easy to make with these die cuts. 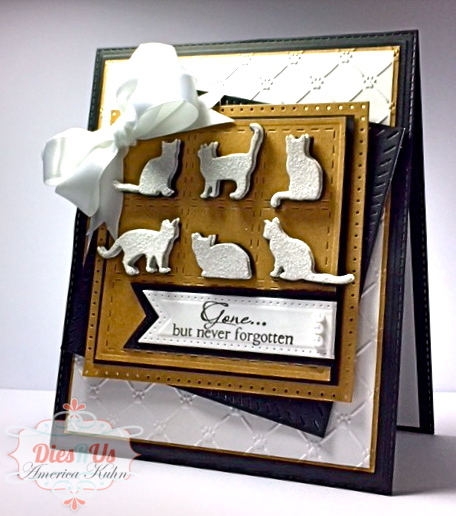 Just add some dry embossing, layering and a bow. Start by die-cutting the cats in black, white and textured cardstocks. Now cut the grids, top panels, stamp a sentiment and die-cut from the Frames and Tags Piereced Flags die set, and adhere in this manner, (leaving portion of flag end to fold under panel's edge for a cleaner look). The cat cuts are shown here just to give an idea of where to place them once all the panels have been adhered together. Prepare the black base panel by die-cutting with the Stitched Lattice Frames. Then dry-emboss a white panel with the Lattice EF (or any pet themed EF). Back with Kraft Paper to continue the colors. Then adhere top panels as shown here. Now adhere and layers, using foam adhesive behind the top grid panel to give the card dimension. 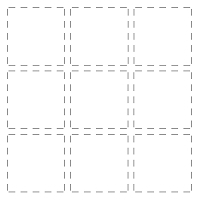 At this point, adhere all those adorable cats layered together add foam tape to back of each and place on each mini grid section. The card will start to come together like this. The finishing touches were a bow and 3 small pearls on the sentiment panel. Beautifully done America and a very comforting creation! Love your design ... great use of these dies ... beautiful! Thanks for inspiration and fabulous instructions.